If learning to manage my social anxiety has taught me anything, is that you constantly need to keep challenging yourself to get better. I’ve often thought “hey, I’m cured” because I’ve been able to do enough things to live a comfortable life, only to crumble at a social situation that I’m totally not used to. I know that if I spend a few weeks stuck indoors due to an illness, that leaving the house again becomes really bloody difficult and I also know that there are things I still want to do but haven’t done yet because of my social anxiety. So I keep on challenging myself, as there is always room for self improvement. If you’d like to join me and challenge yourself a little more this year, I’ve jotted down some ideas that you can steal! The idea is to keep doing things that are just a little scarier than what you’re used to. Don’t jump in the deep end and set yourself back a pace, just take it slow and steady. 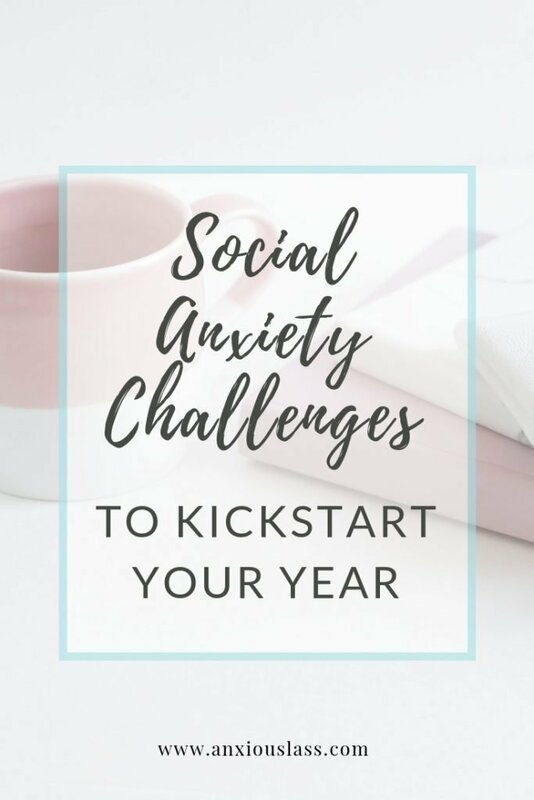 If you’d like to go into more depth and see more improvements this year, then check out Social Anxiety To Social Success – a step by step eBook that guides you through conquering your fears.